Growing up I was obsessed with Hello Kitty. Even as an adult I have a hard time resisting the cuteness and joy she brings. Jack and I wanted to get something special for Star for her birthday so when Dynacraft asked if I wanted to check out their Hello Kitty bike, we knew just who to gift it to! Star was absolutely thrilled with her first brand new bike. The 14" Hello Kitty bike is available at Target for $79.99 and is recommended for children ages 4-8. Star celebrated her 5th birthday so it was really perfect for her. The bike comes with adjustable training wheels, but Star, doesn't need them. I lived vicariously through Star's joy as she rode around the neighborhood with a huge smile on her face. The mix of adorable Hello Kitty graphics combined with the sturdy steel frame and coaster brakes makes this the perfect bike for both safety and style. 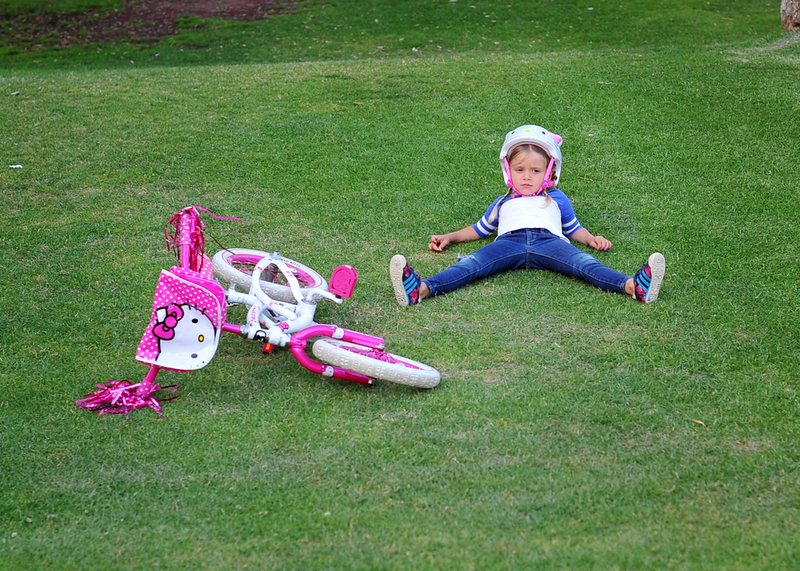 Her mom, Dana Colwell, took these photos and says that Star has been wanting to take the bike everywhere she goes! Dana said: Star's bike adventure was to ride down the big hill at the park. She made it down a few successful times then crashed. But had a blast! 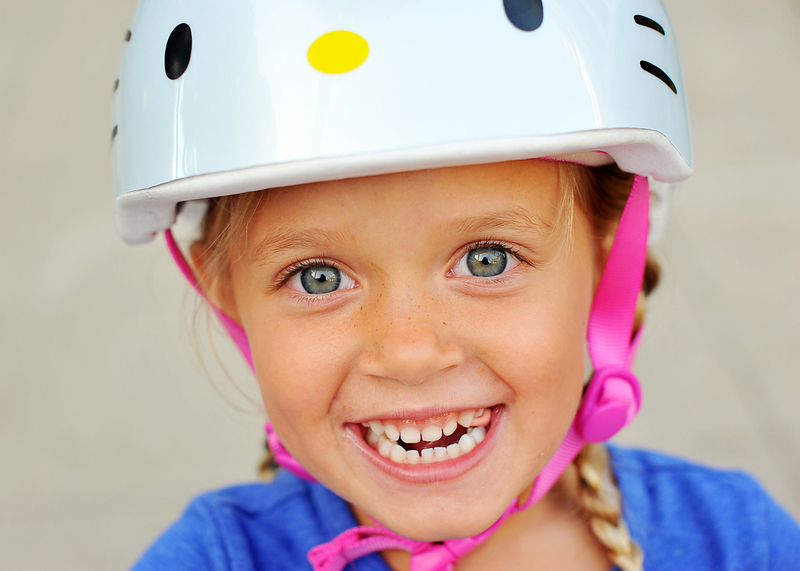 Good thing she had her adorable matching Hello Kitty helmet! Ride on! Please tell me I'm not the only one wishing I had this awesome Hello Kitty bike when I was her age?! 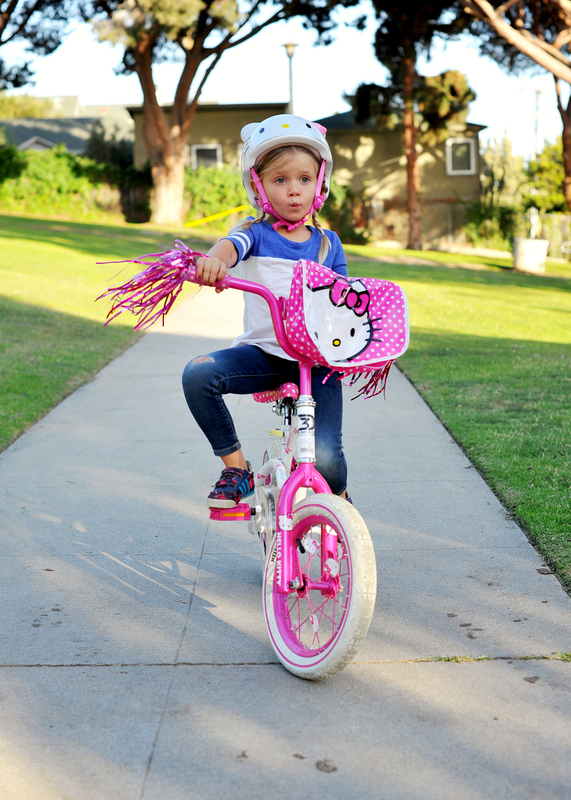 Thanks Dynacraft for sending this Hello Kitty bike & Hello Kitty helmet!